Ready to find some hidden treasure? Grab your smartphone or handheld GPS and head to Hendricks County for a geocaching adventure! What is geocaching? Geocaching is a modern-day, GPS-guided, outdoor treasure-hunting game. “Caches” — hidden containers — are stashed in parks and urban areas all around the world. 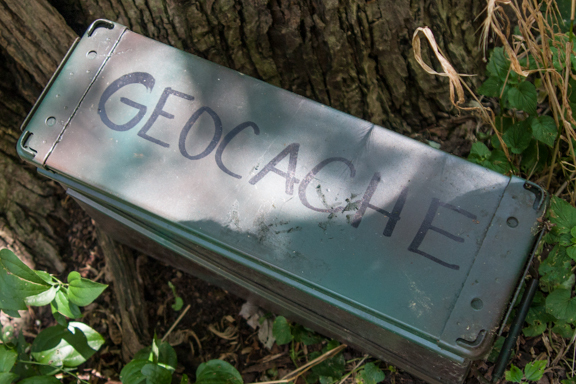 You can find them by going to geocaching.com, whose database has a record of more than 2.2 million active caches worldwide, all just waiting to be found! Geocachers (a.k.a. you and your fellow seekers) navigate to the location of a cache using the Geocaching app or a GPS device, then when you find the cache, sign the log inside the container and rehide it for the next geocacher to find. This is a great activity for seekers of all ages. How do I find a geocache? Start by picking a geocache to seek, and you have several ways to search for one. If you’re using the Geocaching app on a smartphone, enable your location services, and the app will show you some nearby caches. On the website, you can search by address, zip code, state, even area code. The results page will have beginner caches (rated by difficulty and terrain) highlighted in green. Experts recommend you start your geocaching adventures with one (or some!) of these, until you get the hang of it and are ready for more of a challenge. 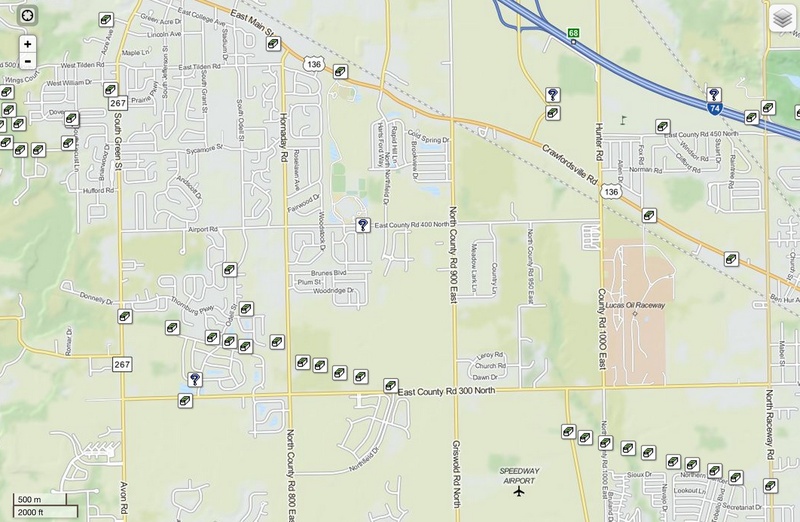 Where are geocaches in Hendricks County? When I did a quick search for caches within a 15-mile radius of Danville, Ind., which is roughly the center of Hendricks County, the search returned 806 results! Unless you’re a geocaching fanatic (like this guy interviewed on NPR in 2011), that’s enough to keep you busy for years. I’m interested to find some of the caches in the B&O Series—a whole bunch of caches hidden along this greenway in Brownsburg. Going geocaching is a great way to explore the outdoors. Hendricks County’s parks host to dozens of caches, and there are dozens more hidden in more urban locations. A word of caution: Be sure you watch where you’re walking; don’t keep your attention focused on your device alone. Pay attention to your surroundings, whether wild or urban. On my first hunt, we ran into some stinging nettles and found some hard-to-see barbed wire. Just be safe and have fun! 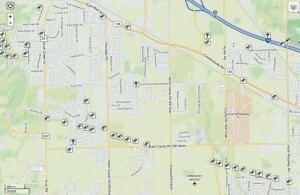 Have you gone geocaching in Hendricks County? How was the experience?